Meet Our Staff | Camp Wyandot, Inc.
My ..“Camp days are full of memories, they never can be forgot, our days at Wyandot” …so now after being on the national staff of Camp Fire USA and American Camp Association and directing camps, consulting, and training throughout the USA and internationally, it was wonderful to have the opportunity to go back where I started and help provide quality outdoor experiences that empower others to … “make lasting friendships never to be broken”. 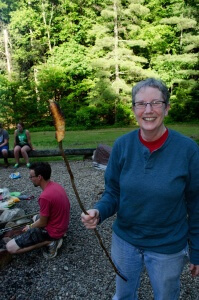 I enjoyed meeting new campers and staff and look forward to 2016. 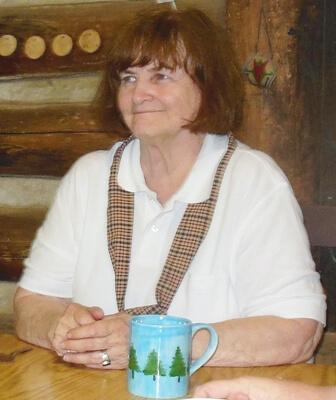 I hope you will join me for another great summer at Camp Wyandot. 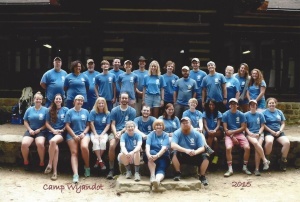 “The Camp Wyandot Leadership Team is a talented group of people with bachelor’s degrees in a variety of subjects and most have over five years of administrative and supervisory experience in organized camp. The counselors and program staff are a minimum of 18 years of age and in addition to pre-camp training most have been through two years of the Counselor-in-Training program at Camp Wyandot. All of the staff have gone through extensive screening, many have multiple years as campers, and are the positive role models we want for our children. I’ve been going to Camp Wyandot since 2nd grade. I loved being a camper and learning new skills from incredible counselors. Next I was a Counselor-in-Training where I learned to teach those skills to others. Then I became a counselor and have served in various staff roles. Wyandot is a beautiful place because of the campers who come each summer to have fun, make new friends, and learn many new skills. Memories made at camp are the best ever and will last a lifetime. Stay tuned for 2019 Staff Updates! Trying to guess their real names is part of the summer experience.